Welcome to Acadia Technology Inc.
What is a CPU cooler? What is its design theory? Why is having a CPU cooler essential? How do I purchase a high quality CPU Cooler? What's the life-in-use of a good cooler? How do you know if the cooler is out of order? How's the quality of the cooler in BOX CPU (CPU + CPU cooler) that goes with the purchase of CPU? Is a bigger cooler better at heat dissipation? 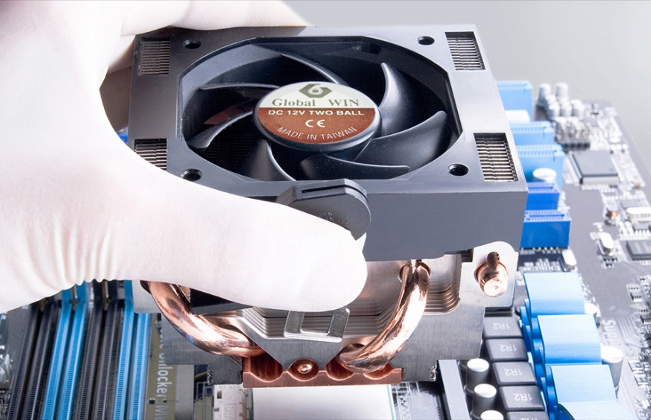 How do we install a CPU cooler? Anything we should pay attention to? What is a sleeve bearing? How do we know the kind of bearing system of a cooler if the label doesn't show? What is a 3 wire fan? Does fan blade shape and number of blades matter? Some fan makers also produce coolers, how do we see the coolers they have? What are the methods of heat transfer? What are the common materials used for Heatsinks? What are the different types of Heatsinks? What is the manufacturing process like for a Heatsink? What parameters affect the thermal conduction & thermal convection of a Heatsink? What is the general price for CPU cooler? Is it necessary to install a cooler with Peltier Element? Is a cooler with an alarm function necessary? How do we know if the shutdown of a PC is caused by the cooler being out of order? Should we use gap tape? Should we use heat paste? Why do some vendors also say their coolers are number ONE among tests?